This is a required field. This field must contain a phone number. This field must contain a valid email address (email@domain.com). We will contact you shortly to discuss your quote. 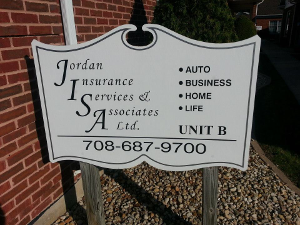 Jordan Insurance Services & Associates, LTD. Homeowners, auto, and business insurance are things that one can find in many places. Finding these products at an agency that delivers individually tailored solutions and that also has agents who are knowledgeable, helpful, and local, isn’t easy, however. At Jordan Insurance Services & Associates we tailor every policy or plan that we write to an individual client and our agents are exceptional. 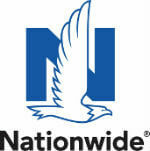 Also, we provide homeowners, auto, and business insurance, and we also provide many other products. We’re family owned and operated and we’re proud of it. We have major carrier offerings and a small-town, personalized feel. We’d love for you to learn more about us, so please read the sections below. We have access to many markets, and this is one reason why we offer a wide variety of insurance options, which are personal and also commercial. From homeowners and auto insurance to business and employee insurance, there’s almost nothing that we can’t provide. Our business program has a business owners policy (BOP) option, and it also has other options like crime and workers compensation. We have specially designed programs for commercial enterprises in more than 30 different industries, and we can hand pick coverages from these programs in order to make any business insurance policy or plan complete. Restaurants, contractors, and condo and town home associations are a few of the businesses that we insure through these programs. For individuals we have homeowners, auto, life, and recreational vehicle insurance options, and we have a large number of other insurance options also. Whether you’re saving for a child’s education or securing assets, we can help you. To learn more about our insurance offerings, please visit our products page. All of our agents were born and raised in Oak Forest, so our agents are truly local. Each member of our team is dedicated to giving his or her clients the best possible insurance, and also to providing services that make purchasing and using insurance easy. We’re reachable at any time that a client needs to get a hold of us, and also our turnaround times are quick. We’re as committed to being a part of the communities that we serve as we are to delivering the best insurance and the finest services. We hold a booth twice a year at a tradeshow for the Association of Condominium, Townhome, and Homeowners Association (ACTHA), and we sponsor the annual Tinley Park Make-a-Wish Foundation benefit, which is held by the MNM Riding Club. We also sponsor an Oak Forest baseball team every year through the Oak Forest Baseball Association, and we participate in local events whenever we can. Contact us or call us today. To start on a policy, request a quote or complete this auto insurance quote form for a full auto insurance quote. Name* This is a required field. Phone This field must contain a phone number. Email* This field must contain a valid email address (email@domain.com). We will contact you shortly. Proudly serving Oak Forest, IL, Orland Park, IL, Tinley Park, IL, Mokena, IL, New Lenox, IL, Homer Glen, IL, and surrounding areas. Licensed in IL, IN, WI, MI, NV, and AZ.